Researchers just removed all traces of HIV from infected mice—not a treatment, but a cure. The same approach is being used to attack cancer cells and other disorders. Step aside, odor-based diagnostics. There’s a new medical breakthrough ready to take center stage, with the potential to treat or even cure any and every disease with a genetic component. Though human trials are still ways off, this new approach is being researched as a means of fighting, reversing, and curing muscular dystrophy, congenital disabilities, various types of cancer, and most recently, HIV. And it’s as easy as cutting up your genes. They’re worth more this way. I’m no cutting-edge genetic researcher, and the odds are good you aren’t either, so we won’t dig too deep into the science behind the breakthrough tech. But in order to understand just how important, impactful, and potentially species-altering this tech is, we need to understand a bit about our genome, the viruses that co-opt it, and how researchers have taken a natural process and bent it to their own ends. Perhaps unlocking unlimited genetic alteration and fine-tuning in the years to come. First, some DNA basics that you probably already know from Jurassic Park (or Jurassic World if you’re under 25 and a total philistine). 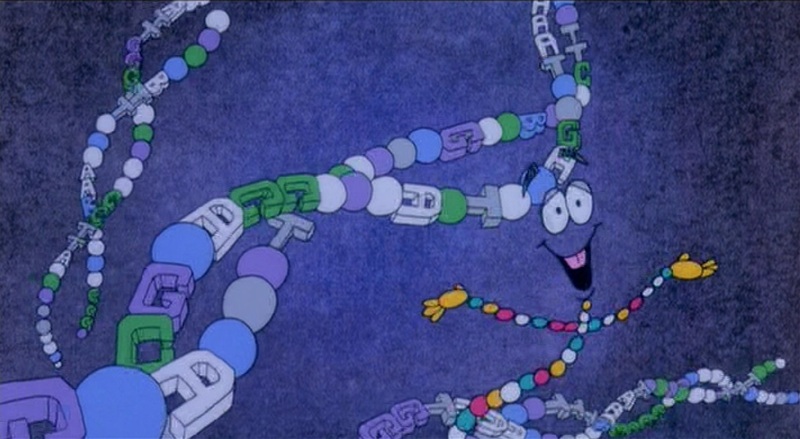 Our DNA is a long string of nucleotides that contain the entire blueprint for our bodies. A section of nucleotides that codes for a certain feature—eye color, the rate of hair growth, etc.—is a gene. When our cells reproduce, our DNA is copied, keeping our genes and thus our cells healthy, fresh, and hopefully consistent. Congenital defects are DNA errors that exist from the time of conception, and that can lead to a range of and disorders, many leading to early death and/or a life of debilitating symptoms. Errors made when DNA copies itself can result in other disorders and diseases such as cancer. Our DNA can also be hijacked by viruses, which are essentially no more than protein sacs containing their own DNA snippets; when a virus invades certain cells of the human body, it inserts its DNA into the host cell’s and uses the host’s DNA replication process to reproduce more of the virus. HIV works like any other virus in this regard, though it focuses specifically on T-cells, one of our immune system’s primary fighters of foreign invaders. When too many T-cells have been taken over by HIV, humans develop AIDS. The most effective way to treat and prevent AIDS in those with an HIV infection is an expensive and often side-effect heavy combination of drugs that work to suppress viral activity to keep things below disease level, but eradicating the virus itself has proven difficult. CRISPR could change that. Clustered regularly interspaced short palindromic repeats (CRISPR) are sections of bacterial DNA that don’t actually code for a bacteria’s body, but that appear to call for the cutting of other DNA sequences. The prevailing theory is that bacteria use CRISPRs as part of their own immune response to viruses: a virus invades a cell, injecting foreign DNA. The cell recognizes the foreign DNA and produces a CRISPR sequence of DNA that works to remove and replace the viral DNA, ending the infection and protecting the bacteria. For the past five years, researchers have been focused primarily on a single CRISPR—Cas9—to do the same thing in more complex animal cells. By pairing the CRISPR sequence with an artificial RNA target, the sequence can be “trained” to identify, cut out, and potentially replace any gene sequence in any cell. The Death of Disease, the Dawn of the Next Phase of Evolution? 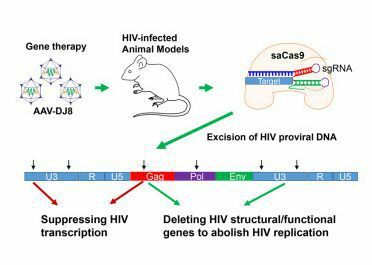 In the HIV breakthrough, researchers were able to successfully remove all traces of HIV from infected mouse tissue using CRISPR-Cas9 and the right targeting RNA. Though some key tissues, including brain tissue, were not tested, the team is confident that their approach can be used to eliminate all DNA traces from animal cells completely, not merely suppressing the infection as current medicines do but effectively curing it. Additional research showed that HIV’s ability to mutate can cause the infection to persist, as the carefully-trained CRISPR won’t recognize the mutated DNA, and it’s been suggested that the CRISPR approach could itself trigger mutations. This is seen as a minor setback, however, and used in combination with virus-suppressing drugs an HIV cure seems well within reach. The same basic approach is being used to investigate treatments and cures for a range of genetic diseases and cancers. Identify the gene sequence that’s responsible for the disease, cut it out with properly-attuned CRISPR-Cas9, possibly replace it with a healthy DNA sequence, and you’re good to go. Though the science behind it all is exponentially more complicated than this explanation, this is essentially how it works, and it does work. There are still many medical hurdles, of course. Fine-tuning delivery mechanisms, identifying and mapping disease-causing gene sequences, building replacement genes, and pursuing trials to look for side-effects and other problems are complex issues that will take years to work out for each individual disease. But these issues are already being worked out, and these therapies are likely to be used in humans within the next decade and to become increasingly common. And of course, it isn’t just disease-causing gene sequences that could be targeted. The dream of designer babies is much closer to becoming a reality with CRISPR tech. Choose the eye color, height, intelligence, athletic ability, even gender of the child you want, and as long as we’ve properly mapped that area of the genome you won’t have any surprises. Decide you’d rather be a swarthy brunette after spending years as a soulless ginger? That can probably be arranged. The ethics of cosmetic/elective gene manipulation have been hotly debated since the days of Twilight Zone, but we’re well beyond the realm of science fiction now. This gene editing tech goes even further, though. Imagine no-surgery options for transgender individuals to transition from male to female bodies or vice versa. Regrowing limbs and repairing spinal columns after serious accidents. Eliminating the aging process with regular CRISPR treatments, leading to effective immortality. These things aren’t right around the corner, but they’re now visible on the horizon of the possible. For better or for worse, CRISPR-Cas9 and other similar yet-to-be-developed technologies are likely the keys to the next phase of human evolution. Assuming we make it long enough to put them to use. Impressive to say the least. Now, do we not have an actual human that can have HIV taken from the body in the same way? We have been hearing things like this for a long time now. I understand that it takes time to get the testing down and to actually verify that something like HIV has been killed off, but I would like to see actual results.